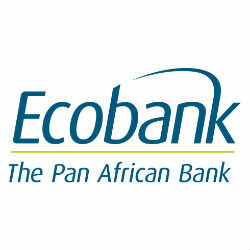 Ecobank the pan-African bank commemorated its 27th annual celebration of operating in Africa through through Corporate Social Responsibility initiatives, this year focused on the theme Malaria, Dengue and Ebola: Prevention is Better than Cure. Ecobank Tanzania commemorated this anniversary in the Bonde la Mpunga area of Masasani ward, Dar es Salaam at an event graced by the Msasani ward Councilor Hon. Christina Kirigiti and the Chairperson of the Bonde la Mpunga local Government Hon. Philbert Mbepera. Ecobank members of staff conducted the fumigation exercise jointly with Malaria corps provided by the Kinondoni District and the residents, to not only kill the mosquitoes and destroy breeding grounds, but to also equip the residents with the know how on controlling and preventing the spread of Malaria in the area. “We are very happy that Ecobank being the first bank to support malaria prevention initiatives has responded to the dire situation experienced at Bonde la Mpunga, which is an area that experiences water stagnation all year round and is a notorious breeding ground for Malaria. “ Says Hon. Christina Kirigiti. “This area alone has over 17,550 residents who grapple with malaria every day, Ecobank’s intervention is not only timely but very conscious of the urgent need to prevent Malaria infection that greatly affects the livelihoods of households and the overall economic activity and performance of this area.” Adds Hon. Mbepera. “Our commitment to the community is solid and we have demonstrated this commitment to developing the overall social and economic wellbeing of Tanzania through various local initiatives.” Says Enoch Osei-Safo, Managing Director, Ecobank Tanzania. “This year, we focused on malaria prevention as it has adversely affected sub-Saharan Africa accounting for 90% of all global malaria cases and causing deaths that are otherwise avoidable. Malaria has affected millions of Tanzanians and Africans as a whole and adversely impacts economic progress and individual livelihoods. We believe that prevention is better than cure, hence our efforts at empowering this community with the requisite tools in promoting malaria and dengue fever prevention as well as creating awareness on prevention of the Ebola virus epidemic that has destroyed the economies of Liberia, Guinea and Sierra Leone in West Africa.” He resounds. The recently stalled treated mosquito net programme has received support as over 250 residents in the Msasani area will receive free mosquito nets.